Summary: Translations of NTRQ manual and official tutorials. NTRQ is a NES tracker created by Neil Baldwin and won a prize of Best Software at The 2010 TCTD Award. There are several tools to make music with NES sound: mck, FamiTracker, NES Sound Driver & Library (NSD.Lib) etc. But NTRQ is the world-first tracker runs on the real NES. Besides, it has some creative features like auto echo and live play mode and so on. Creating a NTRQ cartridge for the Famicom｜hack. it. up. Ready to go. 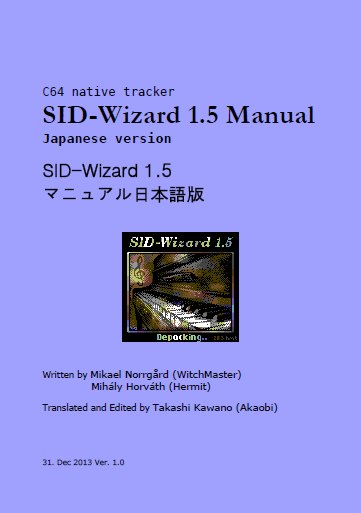 I release SID-Wizard Manual Japanese version. 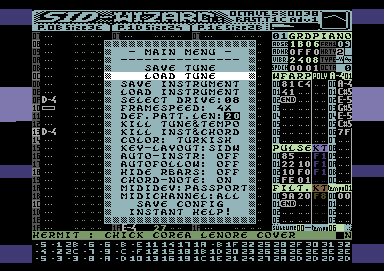 SW is a another music tracker for C64 firstly released in Arok Party 2012 and an open-source project by Hermit, Hungarian coder/musician/graphician. This document is a combination/translation of the manuals by Hermit and WitchMaster. Besides, I added more footnotes for Japanese who was not familiar with music trackers or native C64 tools. Hermit just released SW 1.4 on 7 Feb. My document supports the latest version. I have wanted more people to know SID, so I made it! I hope popping out SID tunes from Japan in the near future. Thank you for helping my translation, Hermit, WitchMaster, mz3364, K->, and osoumen. Cheers!